Over the last 12 months, Dementia-Friendly swimming sessions have been introduced to East Manchester Leisure Centre, Wythenshawe Forum, the Manchester Aquatics Centre and Moss Side Leisure Centre. Staff within swimming pool facilities have trained to become Dementia Friends, helping people affected by dementia to attend regular sessions, both on their own or with support. Robert has bi-polar disorder and Korsakoff syndrome, and has found a new lease of life through attending sessions at East Manchester Leisure Centre. “My name is Robert, I live at Mary and Joseph House and I’m 53 years of age. “I have found a new way of coping with my bi-polar and Korsakoff’s through attending Dementia-Friendly swimming sessions at East Manchester Leisure Centre. “Swimming is a new outlet for my illnesses. I used to feel trapped and depressed about my conditions. Going swimming with others with the same problems has made me feel good about myself and just swimming led me to join the gym. “I sometimes get fed up with life but my new interests have got me out of the doldrums. Manchester Dementia Friendly Swimming Coordinator, Catriona Sudlow, said: “When the Dementia Friendly Swimming Project launched in Manchester last year we hoped that the sessions would help support people affected by dementia. “Whether personally or as a carer, we wanted them to continue to enjoy swimming within a safe and supportive environment. “Swimming is shown to have many beneficial qualities but for people living with dementia. 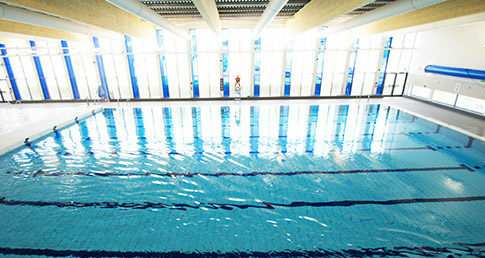 It provides an opportunity to spend time with friends and family, keep fit and relax in the water. Find out about Dementia-Friendly swimming in Manchester.